Tornado Watch just issued until 7am. 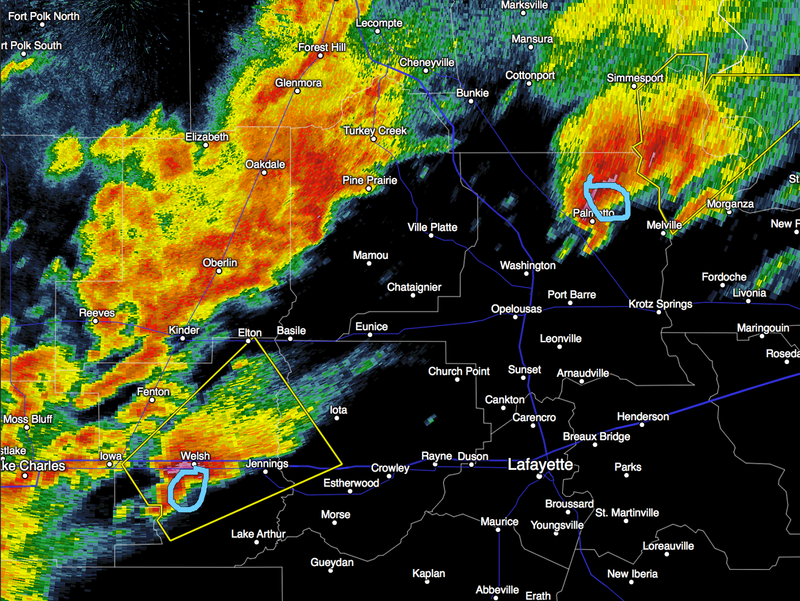 These are issued by NWS. My forecast is below. If you are in either, please have a way to get warnings during the night. The tornado watch for southwest Louisiana and far southeast Texas (light pink) continues in effect. 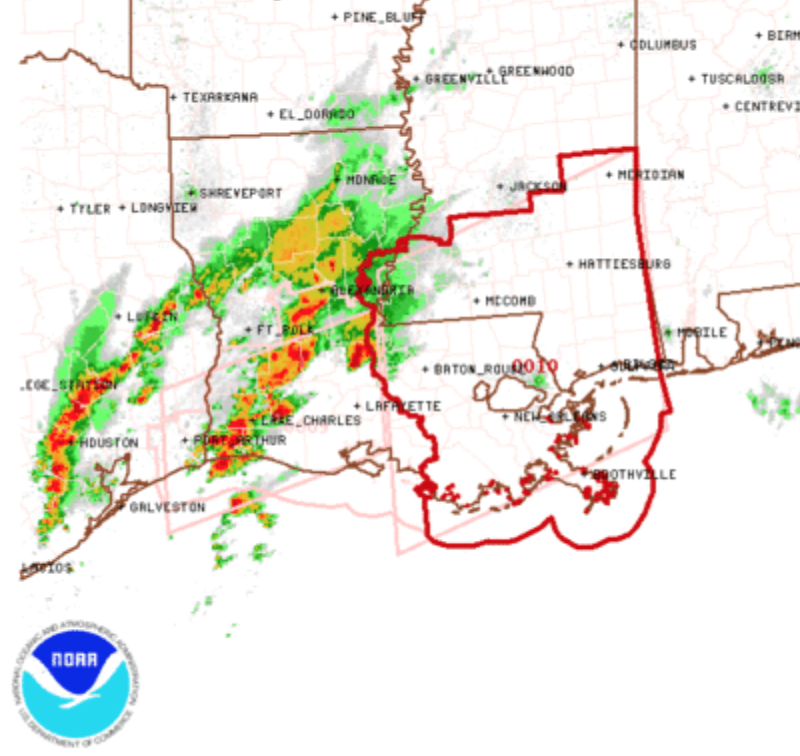 At 11:05, thunderstorms near Palmetto (northeastern storm) and Welsh, Louisiana (southwestern storm) may develop tornado potential during night.